Gamal Abdel Nasser Hussein (جمال عبد الناصر حسين‎) - (15 January 1918 – 28 September 1970) was the second President of Egypt from 1956 until his death. Nasser is seen as one of the most important political figures in both modern Arab history and politics in the 20th-century. 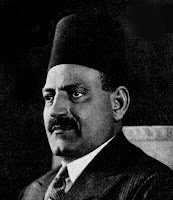 Under his leadership, Egypt nationalized the Suez Canal and came to play a central role in anti-imperialist efforts in the Arab World and Africa. The imposed ending to the Suez Crisis made him a hero throughout the Arab world. 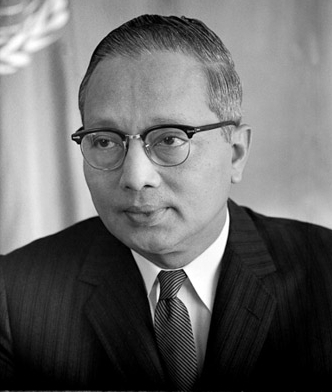 He was also instrumental in the establishment of the international Non-Aligned Movement. He is well-known for his nationalist policies and version of pan-Arabism, also referred to as Nasserism, which won a great following in the Arab World during the 1950s and 1960s. Although his status as "leader of the Arabs" was badly damaged by the Israeli victory over the Arab armies in the Six-Day War and Egypt's failure to win the subsequent War of Attrition against Israel, many in the general Arab population still view Nasser as a symbol of Arab dignity and freedom. 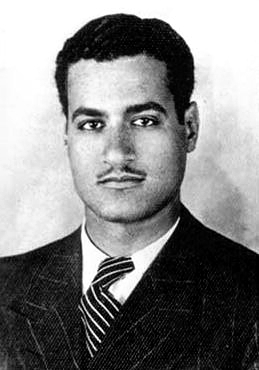 Gamal Abdel Nasser was born on 15 January 1918 in Bakos, Alexandria, Egypt. He was the first son of Fahima and Abdel Nasser Hussein, and was later followed by two brothers, Izz al-Arab and al-Leithi. Due to his father's work for the Post Office, the family traveled frequently. 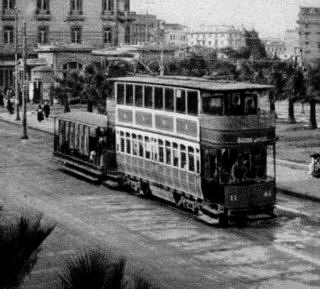 In 1921, they moved to Asyut and later in 1923 to Khatatba. Gamal attended a primary school for the children of railway employees until he was sent in 1924 to live with his paternal uncle, Khalil Hussein, in Cairo, and attend the Nahhasin elementary school. Gamal exchanged letters with his mother and visited her on holidays. He stopped receiving messages at the end of April 1926. When Gamal returned to Khatatba, he learned that his mother had died after giving birth to his third brother Shawki and his family had kept it from him. According to most of his biographers, Nasser adored his mother and the injury of her death deepened when his father remarried before the year ended. Nasser went to Alexandria in 1928 to live with his maternal grandfather, Muhammad Hammad, while attending Attarin elementary school. There, Gamal joined a demonstration even though he was not aware of its purpose. He did not do well in school and in 1929 transferred back to Cairo. His uncle Khalil left Cairo soon after, and Gamal's father was posted to Suez, where there was no suitable school for Gamal. Therefore, he was sent to a private boarding school in Helwan for a year. In 1933 Khalil returned to Cairo and Gamal was sent to live with him. The following year Gamal went to Alexandria to live with his maternal grandparents, where he received a secondary education certificate from a private school. Abdel Nasser was posted to Cairo and Gamal joined his family there. He attended al-Nahda al-Masria school and received his leaving certificate in 1936. 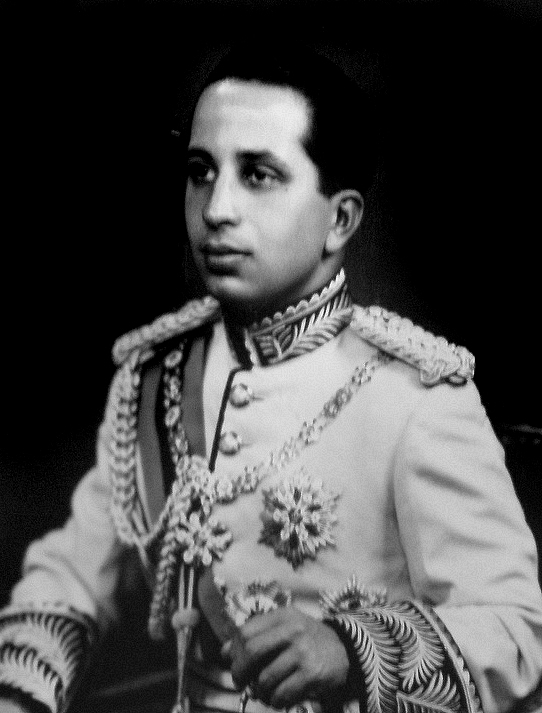 Nasser became involved in politics at an early age, being elected chairman of the Young Egypt Society during his teenage years. On 12 November 1935, Nasser was wounded during an anti-British demonstration, in which several students tried to cross Abbas ( el-Roda ) Bridge in Cairo to clash with the police. Afterward, he was arrested and detained for two days along with several members of the Egyptian Socialist Party. The wound he sustained was superficial, but garnered his first mention in the nationalistic newspaper Al Gihad. Nasser's political involvement lasted throughout his school career, and became such a dominant part of his life that during his last year of secondary school, Nasser only attended for 45 days. The combination of living in so many cities and attending different schools did not distress Nasser but broadened his horizons, allowing him to become aware of the class divisions in Egyptian society. Despite constantly changing schools, Nasser spent most of his spare time reading, particularly in 1933 when his uncle happened to live near the National Library of Egypt. In addition to the Qur'an, the sayings of Muhammad, and the lives of the Sahaba (Muhammad's companions), he read the works of Napoleon, Gandhi, Voltaire, Victor Hugo, Charles Dickens, and many others. He was greatly influenced by the Egyptian nationalist politician Mustafa Kamel, and poet Ahmed Shawqi (see left). 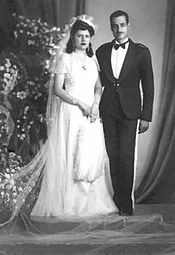 In 1944, Nasser married Tahia Kazim, the 22-year old daughter of a wealthy Iranian father and an Egyptian mother, both of whom died when she was young. She was introduced to Nasser through her brother Abdel Hamid Kazim, a merchant friend of Nasser's, in 1943. After their wedding, the couple moved into a house in Manshiyat al-Bakri, a suburb of Cairo, where they would live for the rest of their lives. His entry into the officer corps in 1937 secured him relatively well-paid employment in a society where most people lived in poverty. Nasser's social status was still well below the wealthy Egyptian elite and, significantly, his resentment of those born into wealth and power continued to grow. Throughout his life, Nasser did his best to keep his career separate from his family life. Although he and Tahia would sometimes discuss politics at home, he preferred to spend most of his free time with his children. Nasser and Tahia had two daughters and three sons, Hoda, Mona, Khaled, Abdel Hamid and Abdel Hakim. Nasser's eldest daughter, Hoda, became a researcher in politics and a professor of political science in Cairo University. Khaled became a member of a leftist organization known as the "Egypt Revolution." In 1988, Egyptian authorities charged him with organizing and financing the killing of two Israeli officials. Mona was married to Egyptian businessman Ashraf Marwan until his death in 2007. They had two sons. In March 1937, Nasser applied for entry to the Royal Military Academy, temporarily abandoning his political activities in favour of studying to become an army officer. However, he did not have a wasta—an influential intermediary to promote his application against many others—and was turned down. Disappointed, he enrolled in law school, but failed and then attempted to enter the police academy where he again was unsuccessful because he lacked a wasta. Convinced that he needed a wasta, Nasser managed to secure a meeting with the Secretary-of-State, Ibrahim Kheiry Pasha, who sponsored his second attempt into the military academy. From then on, with little contact with his family, he focused on his military career. 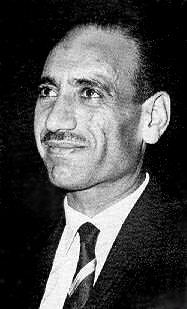 It was at the academy that he met Abdel Hakim Amer (محمد عبد الحكيم عامر)‎,and Anwar Sadat, both of whom became important aides during his presidency. After passing his final exam at Abassia, he was posted to the town of Mankabad, near his native Beni Mur, and was commissioned as 2nd lieutenant in the infantry. In 1939, Nasser and Amer volunteered to serve in Sudan (which was a part of Egypt at the time), where they arrived shortly before the outbreak of World War II. During the war, Nasser and Sadat established contact with agents of the Axis powers, in particular a group of Italians, and planned a coup to coincide with an Italian offensive that would expel the British forces from Egypt. After briefly returning from Sudan, Nasser returned there in September 1942, then secured a job as an instructor in the Royal Military Academy in Cairo in May 1943. 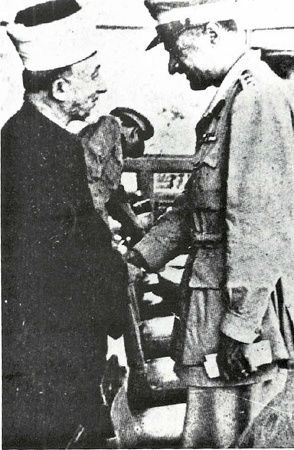 In 1942, the Egyptian Prime Minister, Ali Maher (see right), was suspected of having pro-Axis sympathies at the time when Erwin Rommel was leading the Afrika Korps into Egypt. 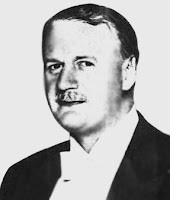 Lord Lampson, the British Ambassador in Egypt, backed by a battalion of British troops, marched into King Farouk's palace and ordered him to dismiss Maher and appoint the pro-British Mustafa el-Nahhas in his place. Nasser, like most Egyptians, saw this as a blatant violation of Egyptian sovereignty and wrote "I am ashamed that our army has not reacted against this attack." He said further that he prayed to Allah for "a calamity to overtake the English." Nasser also began forming a group consisting of other young military officers with strong nationalist sentiments and who supported some form of revolution. Mainly through Amer, Nasser stayed in touch with the members of the group. Meanwhile, Amer continued to discover interested officers within the various branches of the Egyptian Armed Forces and presented a full file on each of them to Nasser. As Egypt remained officially neutral until long after the Axis defeat at the Battle of el-Alamein, the Egyptian military did not participate in the war. Nasser's first experience on the battlefield was in Palestine during the 1948 Arab–Israeli War. 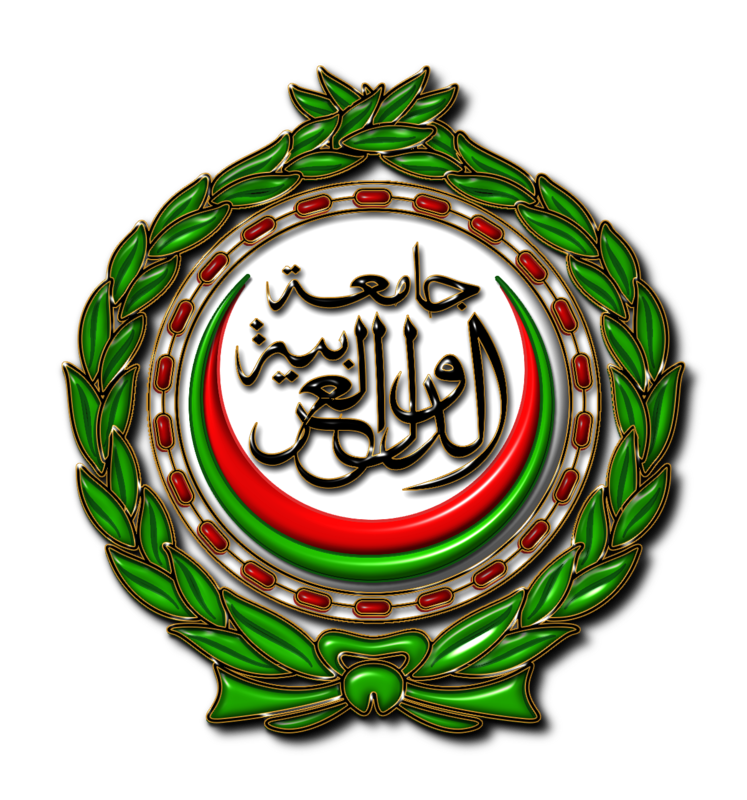 Prior to the arrival of Arab armies to Palestine, many paramilitary groups in the Arab World, including the Muslim Brotherhood and the Arab Liberation Army (ALA), volunteered to fight. Because of Nasser's doubts about the former and his lack of respect for the governments who sponsored the ALA, he offered his services to the Arab Higher Committee led by Mohammad Amin al-Husayni, the Grand Mufti of Jerusalem. He met with al-Husayni (see left), who was impressed by him, at his office in Cairo. 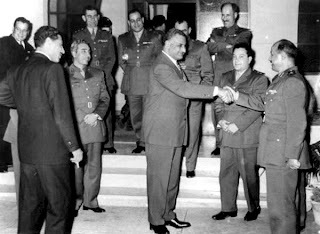 The Egyptian Government refused to allow Nasser to join al-Husayni's forces, however, much to Nasser's disappointment. 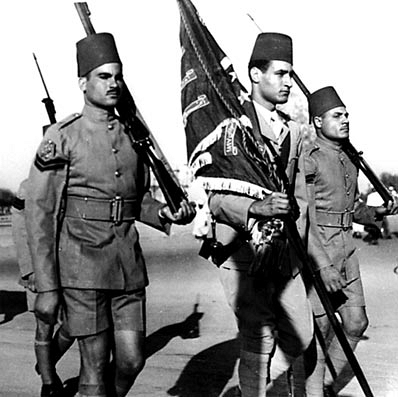 In May 1948, after the end of the British mandate and army withdrawal, King Farouk sent the Egyptian army into Palestine, with Nasser serving in the 6th Infantry Battalion. During the war, he wrote of the unpreparedness of the Egyptian army, saying "our soldiers were dashed against fortifications." Nasser was deputy commander of the Egyptian forces that secured the area known as the Falluja Pocket. By August 1948, his brigade was surrounded by the Israeli Army, and appeals for help from Jordan's Arab Legion went unheeded. Nonetheless, Nasser refused to surrender, but negotiations between Israel and Egypt resulted in the ceding of Falluja to Israel. In February 1949, Nasser was sent as a member of the Egyptian delegation to Rhodes to negotiate a formal ceasefire with Israel, and reportedly considered the terms to be humiliating. After the war, he returned to his job as an instructor at the Royal Military Academy. He sent emissaries to forge an alliance with the Muslim Brotherhood in October 1948, but soon concluded that the agenda of the Brotherhood was not a nationalist one like his. From then on, he would take measures preventing influence from the Brotherhood from affecting his activities. Coinciding with Nasser's return to Egypt was Husni al-Za'im's coup d'etat in Syria. The success of the coup and the evident support for it by the Syrian people further encouraged Nasser's revolutionary pursuits. Soon after his return, he was summoned and interrogated by Prime Minister Ibrahim Abdel Hadi for suspicions he was forming a secret group of dissenting officers. In response, Nasser blatantly lied, and convinced Abdel Hadi that he was innocent of such allegations. Abdel Hadi was also hesitant on taking drastic measures against the army. especially in front of its chief-of-staff who was present during the interrogation, and subsequently released Nasser. The interrogation pushed Nasser to speed up his group's activities. After 1949, the group adopted the name "Association of Free Officers" and "talked of... freedom and the restoration of their country’s dignity." He organized the founding committee of the Free Officers which eventually comprised fourteen men from different social and political backgrounds, with some being members of Young Egypt, the Muslim Brotherhood, and the Egyptian Communist Party, as well as the aristocracy. Nasser was unanimously elected chairman of the organization. 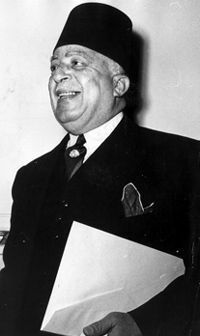 In the 1950 parliamentary elections, the Wafd Party of Mustafa el-Nahhas Pasha (مصطفى النحاس باشا‎) gained a victory—mostly due to the absence of the Muslim Brotherhood who boycotted the elections—and posed a threat to the Free Officers because they had campaigned for demands similar to theirs. Accusations of corruption against Wafd politicians began to surface, however, breeding an atmosphere of rumors and suspicions that consequently brought the Free Officers to the forefront of Egyptian politics. By then, the organization expanded to around ninety members; according to one member, Khaled Mohieddine, "nobody knew all of them and where they belonged in the hierarchy except Nasser." Nasser felt that the Free Officers were not ready to move against the government and for nearly two years he did little beyond recruit more officers and issue his underground news bulletins. After the Wafd government abrogated the 1936 Anglo-Egyptian Treaty—which had given the British control over the Suez Canal until 1956—on 11 October 1951 the popularity of this move as well as that of the government-sponsored guerrilla attacks against the British, put pressure on Nasser to act. According to Sadat, Nasser decided to wage "a large scale assassination campaign." 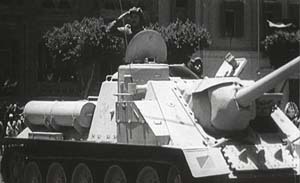 In January 1952, he and a number of unidentified officers attempted to kill the royalist general Hussein Sirri Pasha (حسين سري باشا‎) (see right) by firing their submachine guns at his car while he drove through Cairo's streets. Instead, an innocent woman passerby was wounded in the incident and apparently began to shriek and wail. Nasser recalled that her wails "haunted" him and dissuaded him against similar action in the future. Hussein Sirri Pasha was very close to Farouk and was nominated for the presidency of the Officer's Club—a normally ceremonial office—with his backing. 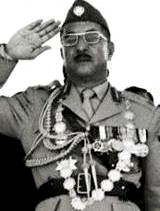 Nasser was determined to establish the independence of the army from the monarchy and with Amer as an intermediary, decided to field a nominee for the Free Officers; they selected Muhammad Naguib, a popular general who offered his resignation to Farouk in 1942 and was thrice wounded in the Palestine War. Naguib won overwhelmingly and the Free Officers, through their connection with a leading Egyptian daily, al-Misri, publicized his victory and praised the nationalistic spirit of the army. On 25 January 1952, the British forces posted along the Suez Canal engaged in a major confrontation with the police force of Ismailia, resulting in the deaths of forty Egyptian policemen. The next day, protesting mobs numbering in the thousands marched in the streets of Cairo, attacking foreign and pro-British Egyptian establishments which resulted in the deaths of 76 people, including nine British subjects. Afterward, Nasser and Khaled Mohieddine published a simple six-point program for Egypt, condemning British influence in the country. 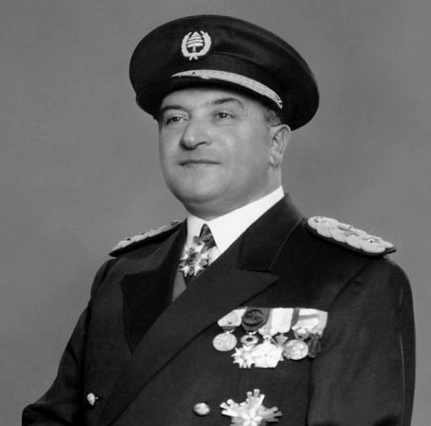 A short time later, in May 1952, Nasser received word that Farouk knew the names of the Free Officers and intended to arrest them. Thus, he immediately entrusted Zakaria Mohied el Dien (see left) with the task of drawing up plans for the takeover of the government by army units loyal to the association. The Free Officers did not intend to install themselves in the government, but to re-establish a parliamentary democracy. Nasser did not believe that a low-ranking officer like himself (a lieutenant-colonel) would be accepted by the Egyptian people and so he selected Naguib, a general, to be his "boss" and lead the coup in name. The revolution they had long sought was launched on 22 July and was declared a success the next day. The Free Officers seized control of all government buildings, radio stations, police stations, and the army headquarters in Cairo. 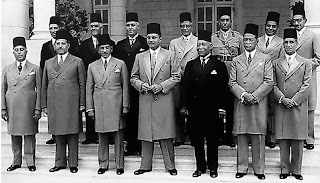 Muhammad Naguib (see right) assumed public authority as the leader of the new revolutionary government, becoming the first President of Egypt on 18 June 1953, the day on which the Egyptian and Sudanese monarchy was abolished, and the Republic of Egypt was declared. While many of the officers were leading their units, Nasser donned civilian clothing to avoid detection by royalists and moved around Cairo to monitor the situation. In a move to prevent foreign intervention, two days before the revolution, Nasser notified the United States and Britain, both of which agreed not to aid Farouk. Nasser and his fellow revolutionaries also gave in to American pressure by allowing the deposed king and his family to leave Egypt unharmed and with a honorary ceremony . 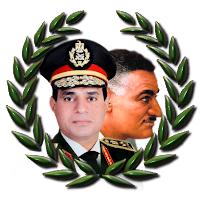 After assuming power, Nasser and the Free Officers expected to become the "guardians of the people's interests" against the monarchy and the pasha-class, while leaving the day-to-day tasks of government to civilians. Thus, they asked Ali Maher, a former prime minister, to accept being reappointed his previous position and form an all-civilian cabinet. 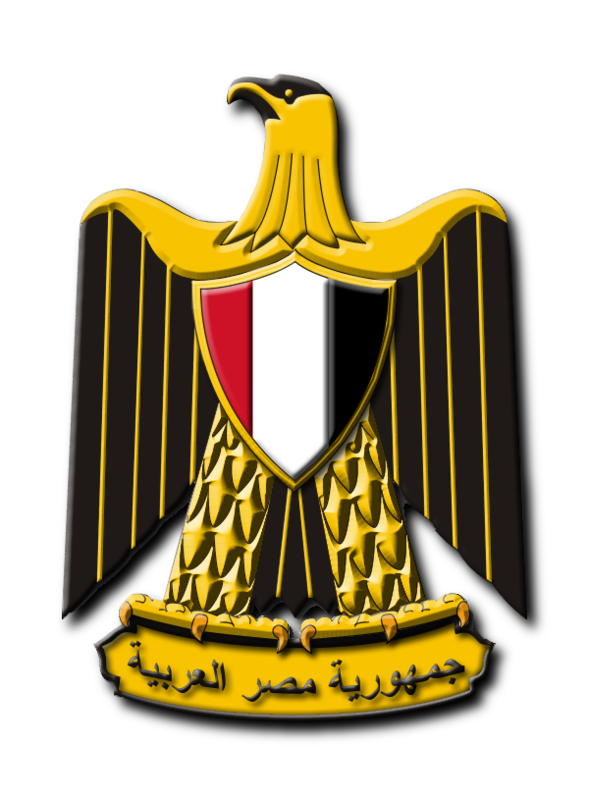 The Free Officers then renamed themselves the Egyptian Revolutionary Command Council (RCC), with Naguib as chairman and Nasser as vice-chairman. The relationship between the RCC and Maher grew tense, however, with the latter viewing Nasser's schemes to be too radical, culminating in Maher's resignation on 7 September. The reforms Nasser pursued were agrarian reform, the abolition of the monarchy, and the reorganization of political parties. Afterward, Naguib assumed the additional role of prime minister and Nasser that of deputy prime minister and interior minister. In September, the Agrarian Reform Law was put into effect. 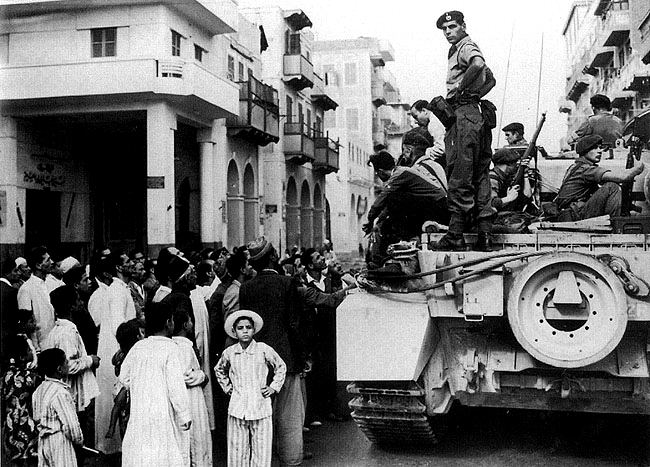 For Nasser, the law gave the RCC its own identity and transformed the coup into a revolution. 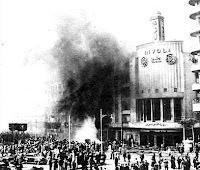 Preceding the reform law, in August 1952, Communist-led riots broke out at textile factories in Kafr el-Dawwar leading to a confrontation with the army that left nine people dead. Most of the RCC, including Naguib, insisted on making an example of the riot's two ringleaders by executing them, but Nasser firmly opposed this. Nonetheless, the sentences were carried out. The Muslim Brotherhood supported the RCC and after Naguib's assumption of power, they demanded four ministerial portfolios in the new cabinet, but Nasser turned down their demands. Instead, he used a policy of divide and conquer by accepting two members of the Brotherhood who were willing to serve officially as independents, giving them minor posts. 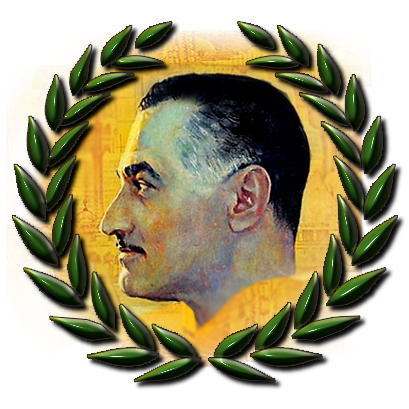 In January 1953, Nasser overcame opposition from Naguib and banned all political parties, creating a one-party system, the Liberation Rally, whose purpose was to function as a national movement that would replace all parties. The Communists, and the Muslim Brotherhood condemned the move, as both were excluded from participation in the new system. 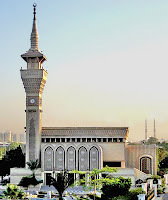 Simultaneously, Nasser began using the more willing among the ulema ("religious scholars") of the al-Azhar University as a counterweight to the Brotherhood's Islamic influence. Meanwhile, debate rose within the RCC as to the purpose of these measures. According to fellow officer Abdel Latif Boghdadi, Nasser was the only RCC member who, even after ordering the dissolution of political parties, favored to hold parliamentary elections. Outvoted, he still advocated holding elections by 1956. Nasser was negotiating a British withdrawal from the Suez Canal and personally led the Egyptian negotiation team in March 1953. Upon pressure from him, Naguib proceeded with the abolition of the monarchy. He began showing signs of independence from Nasser, however, by moderately opposing land reform—even though the general population at the time credited Naguib for the law's implementation. Soon, the two leaders began to openly compete for control of the country. When Naguib moved to garner support from the Brotherhood and gain the backing of old political institutions such as the former leaders of the Wafd party, Nasser was determined to depose Naguib. 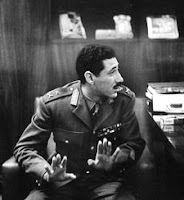 In February 1954, army units loyal to Nasser kidnapped Naguib and announced that he had been relieved of all his posts. The RCC then "joyfully... proclaimed Nasser as Prime Minister." Soon after, large numbers of citizens joined protests demanding that Naguib be reinstated. As a result of these demonstrations, a sizable group within the RCC, led by Khaled Mohieddine, demanded that Naguib be released and returned to the Presidency and then hold free elections to select a new president and prime minister. Nasser was forced to agree and Naguib re-assumed the presidency. Nasser still appointed himself prime minister, however, and promoted Amer (see left) as Commander of the Armed Forces—a position formerly occupied by Naguib. Consequently, several high-ranking military officers resigned in protest of what they deemed was the politicization of the army by keeping it loyal to Nasser. Mohieddine was then informally exiled to Europe to represent the RCC abroad and a campaign was launched by Nasser's sympathizers in the press, including Mohamed Hassanein Heikal, publicizing Naguib's contact with the Wafd. In July, the feud between the two leaders was rekindled when Nasser and the British Foreign Affairs Minister, Anthony Nutting, signed an agreement, in principle, that would give way for the British withdrawal from the Suez Canal, as well as grant Sudan the right to self-determination. Naguib was half-Sudanese and popular in that country; he thought that most members of the RCC and most Egyptians believed Sudan belonged to Egypt. 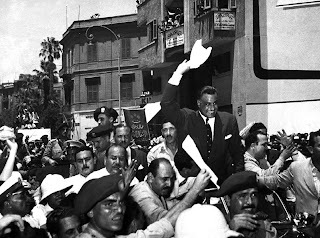 Nasser was accused by many in Egypt, including the Brotherhood, of distracting the issue of Sudan with the withdrawal from Suez, but the Sudanese voted overwhelmingly in favor of independence. The issue was settled in Nasser's favor when the new Sudanese government opted for total "brotherly" relations with Egypt. 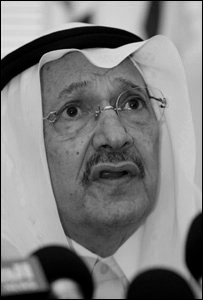 King Saud of Saudi Arabia attempted to mend relations between Nasser and Naguib, but to no avail. In general, Nasser's position was stronger due to the absence of Mohieddine and the Sudanese officers, the growth of the Liberation Rally, and because most of his original comrades in the RCC supported him and also favored Naguib's removal. 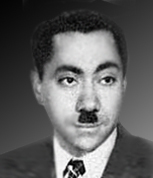 On 26 October, a Brotherhood member, Mohammed Abdel Latif, attempted to assassinate Nasser while he was delivering a speech in Alexandria, celebrating the British withdrawal. The speech was broadcast to the Arab world via radio. The gunman was 25 feet (7.6 m) away from him and fired eight shots, but all missed Nasser. Panic broke out in the mass audience, but Nasser maintained his posture and raised his voice to appeal for calm. 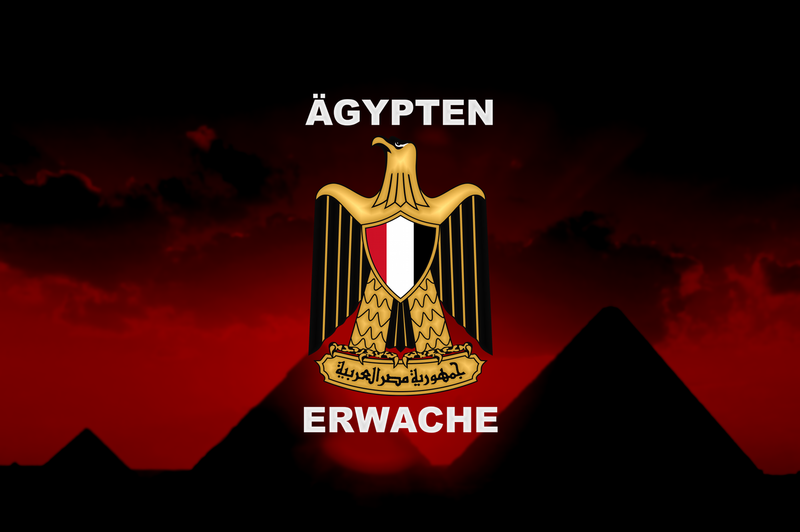 'My countrymen, my blood spills for you and for Egypt. I will live for your sake and die for the sake of your freedom and honor. Let them kill me; it does not concern me so long as I have instilled pride, honor and freedom in you. If Gamal Abdel Nasser should die, each of you shall be Gamal Abdel Nasser ... Gamal Abdel Nasser is of you and from you and he is willing to sacrifice his life for the nation'. The crowd roared in approval and Arab audiences were electrified. The assassination attempt backfired, quickly playing into Nasser's hands. 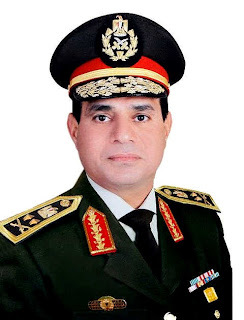 Upon returning to Cairo, he ordered one of the largest political crackdowns in the history of Egypt, with the arrests of over 20,000 people, mostly members of the Muslim Brotherhood, but also Communists, Wafd activists, and sympathizers of these groups within the military leadership. Nasser chose Gamal Salem, a loyal officer, to head the military tribunal. Eight Brotherhood leaders were sentenced to death, although the sentence of its chief ideologue, Sayyed Qutb (see left), was commuted. 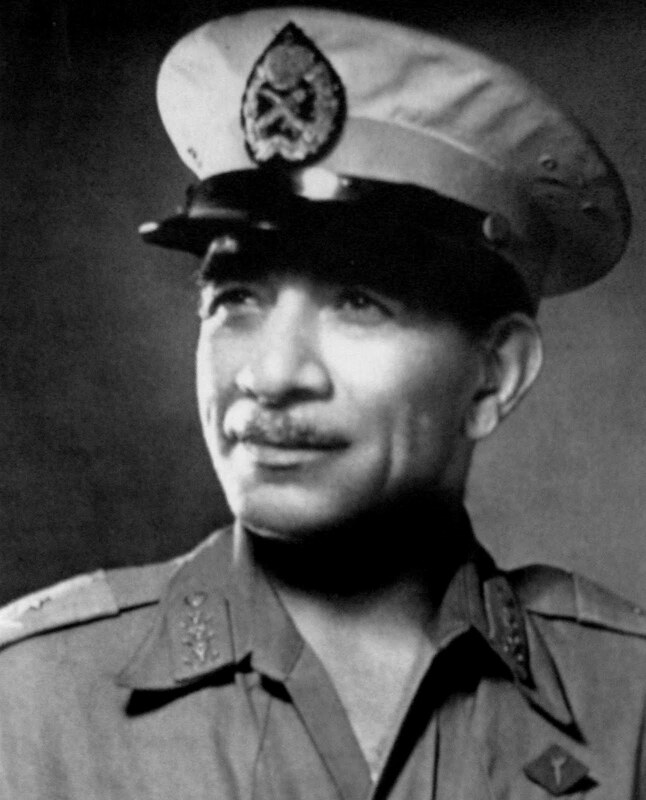 President Naguib was removed from the presidency and put under house arrest, but was never tried or sentenced, and no one in the army rose to defend him. The crackdown continued well into 1955. The Brotherhood was dissolved and most of its leaders fled to other Arab countries. With his rivals neutralized, Nasser became the undisputed leader of Egypt. Nasser's street following was still too small to sustain his plans on reform and secure him in office. To promote himself and the Liberation Rally, he toured the country giving speeches and gained exclusive control of the state media organs. 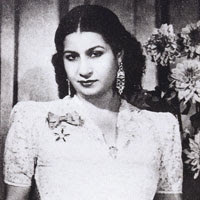 Both the unforgettable Omm Kulthum and Abdel Halim Hafez, the leading Arab singers of the time, made songs praising his nationalism and plays were produced denigrating his political opponents. According to his associates, Nasser orchestrated the campaign himself. Arab nationalist terms, such "Arab homeland" and "Arab nation" frequently began appearing in his speeches in 1954–55, whereas prior he would refer to the Arab "peoples" or the "Arab region." In January 1955, the RCC appointed him as president, pending an election to the office. On 28 February 1955, Israeli troops attacked the Egyptian-held Gaza Strip. Although Israel declared the raid necessary to suppress Palestinian fedayeen raids, it was unanimously condemned by the UN Security Council. Nasser did not feel that Egypt was ready for a confrontation and did not retaliate. His inability to respond to Israeli military action constituted a blow to his growing popularity, since it demonstrated the weakness of his armed forces. Nasser felt if he was to maintain Egypt's position as leader of the Arab world, he needed to acquire modern weapons to arm his military with. 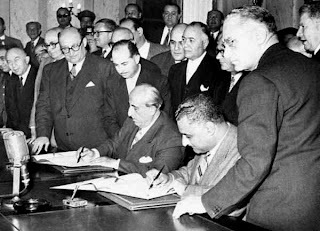 When it became apparent that Western countries would not supply Egypt under financial and military terms acceptable to it, Nasser turned to the Soviet bloc and concluded a satisfactory armaments agreement with Czechoslovakia in September 1955. Through the "Czech arms deal," he enhanced his position as an Arab leader defying the West. The Israelis also re-militarized the Awja Demilitarized Zone on the Egyptian border in September. Prior to the arms deal, at the Bandung Conference in Indonesia in April 1955, Nasser was treated as the leading representative of the Arab countries and emerged as one of the key figures of the conference and the newly-established Non-Aligned Movement. From then on, Nasser adopted the "positive neutralism" of Josip Broz Tito and Jawaharlal Nehru as his foreign policy regarding alliances with the Soviet Union and the West in relation to the Cold War. In January 1956, the new Constitution of Egypt was drafted, entailing the establishment of a new single-party system, the National Union, which would select a nominee for the presidential election whose name would be provided for popular approval. Nasser's nomination for the post was put to the public in referendum in June; it was approved by an overwhelming majority. Simultaneously with his election, the RCC dissolved itself and its members resigned their military commissions. After the three-year transition period ended with Nasser's official assumption of power, his domestic and independent foreign policies increasingly collided with the interests of European powers in the region, namely the UK and France. The latter condemned his strong support for the Algerian struggle for independence from France; the Eden government of the UK was agitated by Egyptian campaigns undermining the Baghdad Pact which Nasser viewed as a disruption of "Arab solidarity." In addition, Nasser's adherence to neutralism and the Non-Aligned Movement, recognition of the Communist People's Republic of China, and his arms deal with the Soviet bloc, also alienated American support for his regime. Thus, the United States and the UK abruptly withdrew their offer to finance construction of the Aswan High Dam. On 26 July 1956, in retaliation for the loss of funding and to help pay for the Aswan project, Nasser gave a speech in Alexandria where he denounced Western influence in the Arab world and announced the nationalization of the Suez Canal Company. He also ensured that existing stockholders would be paid off. The nationalization move was greeted by the crowd very emotionally, and throughout the Arab world, thousands entered the streets shouting slogans of support. This was Nasser's largest pan-Arab triumph at the time and "soon his pictures were to be found in the tents of Yemen, the souks of Marrakesh, and the posh villas of Syria." The official reason given for the nationalization was that funds from the Suez Canal would be used for the construction of the dam in Aswan. From a legal standpoint Nasser had the right to nationalize the canal as long as he paid off its shareholders. However, France and Britain were the largest shareholders in the Suez Canal Company and they saw it as yet another hostile measure aimed at them by the Egyptian regime. Nasser was aware that the canal's nationalization would instigate an international crisis and believed the prospect of intervention by the two countries was 80%. He believed, however, that the UK would not be able to intervene militarily for at least two months after the announcement, and dismissed Israeli action as "impossible." In early October, the United Nations Security Council (UNSC) met on the matter of the canal's nationalization and adopted a resolution recognizing Egypt's right to control the canal as long as it continued to allow passage through it for foreign ships. After this agreement, "Nasser estimated that the danger of invasion had dropped to 10 percent." Shortly thereafter, however, the UK, France, and Israel colluded in a secret agreement to take over the Suez Canal and occupy parts of Egypt. 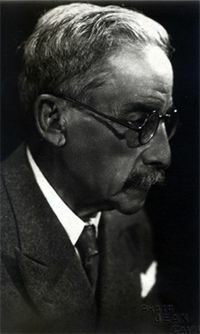 Britain was also determined to prevent Nasser from achieving his stated aim of annexing the Sudan. 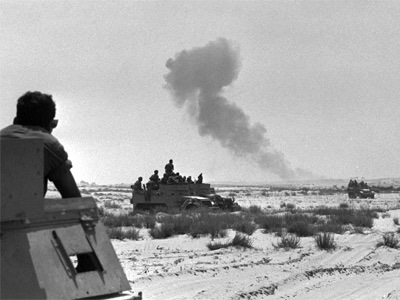 On 29 October 1956, Israel crossed the Sinai, overwhelmed Egyptian army posts, and quickly advanced through the peninsula to achieve their objectives. Two days later, British and French planes bombarded Egyptian airfields in the canal zone. Amer panicked and withdrew Egyptian forces from the Sinai and advised Nasser to make a ceasefire. At this time Nasser described the Egyptian army as "shattered" and resembled a "broken man." Nonetheless, his prestige at home and among Arabs was undamaged. Nasser personally took over command of the military and, aware that he was unable to stop the invasion, he coordinated with King Saud to land Egyptian Air Force planes in Saudi Arabia and Sudan to avoid destruction. He then telephoned King Hussein of Jordan and Shukri al-Kuwatli of Syria, asking them to stay out of the fighting. When Hussein objected and offered to participate in Egypt's defense, Nasser warned him "to save his army from destruction." He followed by issuing orders to block the canal by sinking about fifty ships at its entrance. In Port Said, he berated Amer and fellow Free Officer Salah Salem, who both continually insisted on surrendering, in front of other officers and vowed that "Nobody is going to surrender." 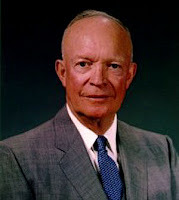 Meanwhile, the American Eisenhower administration was outraged at the tripartite aggression, their attempts to cover it in diplomacy and its timing during the crisis in Hungary. Dwight Eisenhower (see right) publicly condemned it and supported United Nations resolutions demanding withdrawal, Israel's return to the 1949 armistice lines and for a United Nations Emergency Force (UNEF) to be stationed in the Sinai. 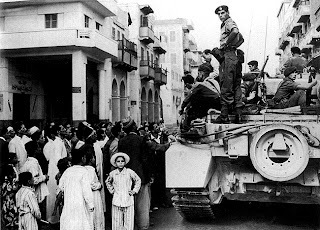 By the end of December, the British and French forces had totally withdrawn from Egyptian territory; after additional UN resolutions and intense US pressure, Israel completed its withdrawal on 8 March 1957. On 8 April 1957, the canal was reopened. With this, Nasser's political position was enormously enhanced by the widely perceived failure of the invasion and British attempt to topple him. As a result the crisis established Nasser finally and completely as the rayyes (chief) of Egypt. Nasser, who left to himself might never have gained the stature he did, emerged a hero of the Muslim world. He used his new status to urge Arab nations to reduce oil exports to Western Europe. As a result petrol rationing had to be introduced in several countries. In January 1957, the US adopted the Eisenhower Doctrine, pledging to protect Middle Eastern countries from Communism and its "agents." Although Nasser was not a supporter of Communism, his promotion of Arab nationalism threatened surrounding pro-Western states. Eisenhower attempted to isolate and reduce him by considering support of his ally King Saud as a counterweight. 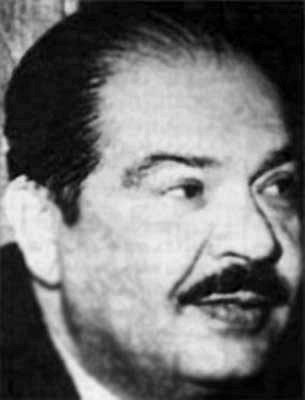 Previously, in October 1956, a pan-Arabist coalition won parliamentary elections in Jordan, making Sulayman al-Nabulsi, a staunch supporter of Nasser, the country's prime minister. 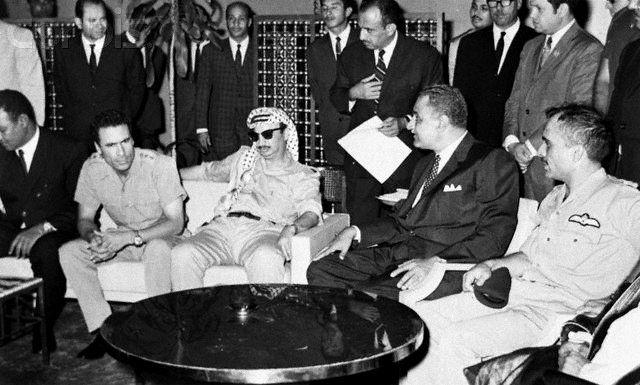 Relations between Nasser and King Hussein (see left) soured when al-Nabulsi and all other pro-Nasser elements in the cabinet and army were subsequently arrested and dismissed; Hussein alleged that Nasser and his Jordanian allies were attempting to overthrow him. Nasser berated Hussein on his Cairo-based Voice of the Arabs radio station, accusing him of being "a tool of the imperialists." 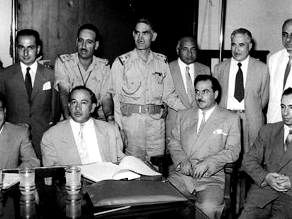 Meanwhile, King Saud (see right) gradually came to resent Nasser's popularity among the Saudi people and his references to Saudi oil as belonging to all the Arabs; when Hussein requested military assistance from Saud, he complied, sending 4,000 troops to Jordan as a protective measure.Despite opposition from the governments of Jordan, Saudi Arabia, Iraq, and Lebanon, Nasser gained influence among many of the citizens of those and other Arab countries. In Jordan, many of the indigenous citizens supported him and Palestinian refugees and citizens saw him as the only Arab leader that could challenge Israel.Together, they formed Arab unity clubs, youth organizations, and secret civilian formations. Nasser's followers in Lebanon and the Egyptian embassy in Beirut—the press centre of the Arab world—bought outlets of the Lebanese media to sponsor him.Many Lebanese politicians were salaried by Egypt to take pro-Nasser stands, but others like Kamal Jumblatt and Saeb Salam, genuinely supported him. Nasser also enjoyed the full support of Arab nationalist organizations throughout the region, including the Arab Nationalist Movement (ANM), Najd al-Fatat (in Saudi Arabia), the Popular Front for the Liberation of Arabia, and to a certain degree the Ba'ath Party (see left) which operated in a number of countries. By the end of 1957, Nasser nationalized all remaining British and French assets in Egypt, including the tobacco, cement, pharmaceutical, and phosphate industries. Because the previous opening to outside investment and the offering of tax incentives had yielded no results, he nationalized more companies and made them a part of his economic development organization. He stopped short of total government control: two-thirds of the economy was still in private hands. Yet, this effort did achieve a measure of success, with agricultural production increasing and investment in industrialization rising. Nasser initiated the Helwan steelworks, which were on their way to becoming Egypt's largest enterprise, providing the country with product and the employment of tens of thousands of people. 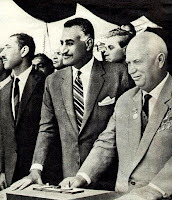 Nasser also decided to cooperate with the USSR in the construction of the Aswan High Dam since the US withdrew its offer following the nationalization of the Suez Canal. Nasser eventually abolished the Liberation Rally, with the National Union taking its place. The National Assembly was to be the national representative body, allowing Nasser to sideline former Liberation Rally leaders Gamal Salem and Anwar Sadat. In addition, arbitrary crackdowns against the Brotherhood and the Communists occurred during this period, particularly in April 1957. Despite his popularity, Nasser's credentials as Arab leader were at stake after the events in Jordan. Later in 1957, Turkish troops massed along the border with Syria, accusing it of harbouring Communist rebels. In response, Saud announced his support for Arab Syria against Turkey. To outdo him, in August, Nasser decided to land 4,000 Egyptian troops in the Syrian port city of Latakia, reclaiming his prestige, especially with the Syrian people. Beginning in 1957, Syria appeared close to becoming a Soviet satellite; it had a highly organized Communist Party and the army's chief of staff, Afif Bizri, was a Communist sympathizer. Nasser told an initial Syrian delegation that they needed to rid their government of Communists, but the delegation countered, and warned him that only total union with Egypt would defuse the "Communist threat." Although Nasser initially turned them down, suggesting that it would take a minimum of five years to establish a feasible political union, he became more afraid of a Communist takeover when the second Syrian delegation composed of military officers was led by Bizri on 11 January 1958; Bizri personally discouraged Syro-Egyptian unity. 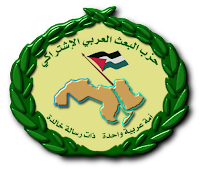 Afterward, Nasser opted for a total merger, and the resulting United Arab Republic (UAR) (see coat of arms right) came into being on 1 February 1958. 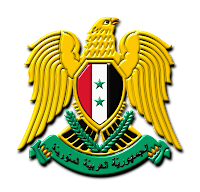 Nasser became the republic's president, and very soon carried out a crackdown against the Syrian Communists and opponents of the union, which included dismissing Bizri and former prime minister Khaled al-Azem from their posts. On 24 February, Nasser traveled to Damascus in a surprise visit to celebrate the union. 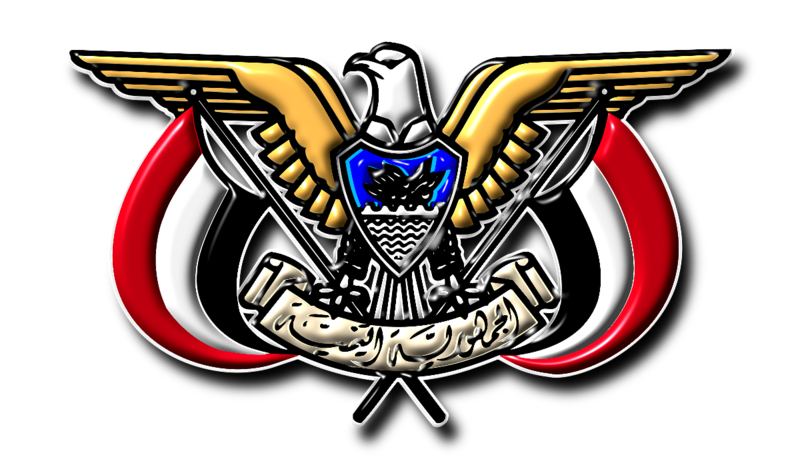 Ahmad bin Yahya, King of North Yemen, dispatched Crown Prince Imam Badr to Damascus with proposals to include their country in the new republic. Nasser and Quwatli agreed to establish a loose federal union with Yemen, rather than a total integration, creating the United Arab States. While Nasser was in Syria, King Saud was allegedly planning on having him assassinated during his flight back to Cairo. He offered to pay the head of the Syrian security services, Abdel Hamid Sarraj, to order Syrian jet fighters to shoot down Nasser's plane. Sarraj, however, was a staunch supporter of Nasser and pretended to agree with Saud's plan only to reveal the plot to Nasser. On 4 March, Nasser stood on the balcony of the Diafa Palace of Damascus and waved a copy of the Saudi check in the air for the masses to witness. 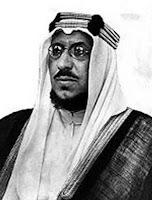 As a consequence of Saud's scheme, he was forced by senior members of the Saudi royal family to informally cede most of his powers to his brother, King Faisal, an advocate of pan-Islamic unity rather than Arab nationalism and a major opponent of Nasser. 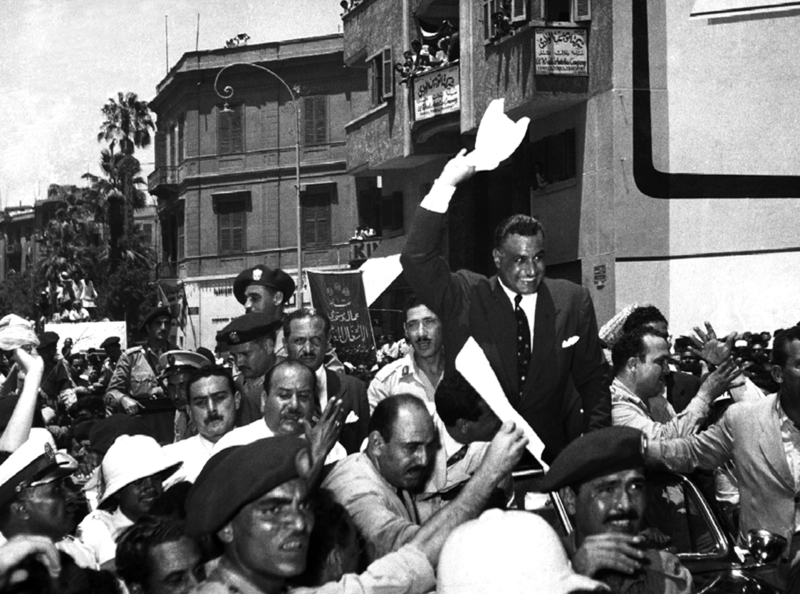 A day after announcing the attempt on his life, Nasser established a new provisional constitution proclaiming a 600-member National Assembly (400 from Egypt and 200 from Syria) and the disbanding of all political parties, including the Ba'ath. 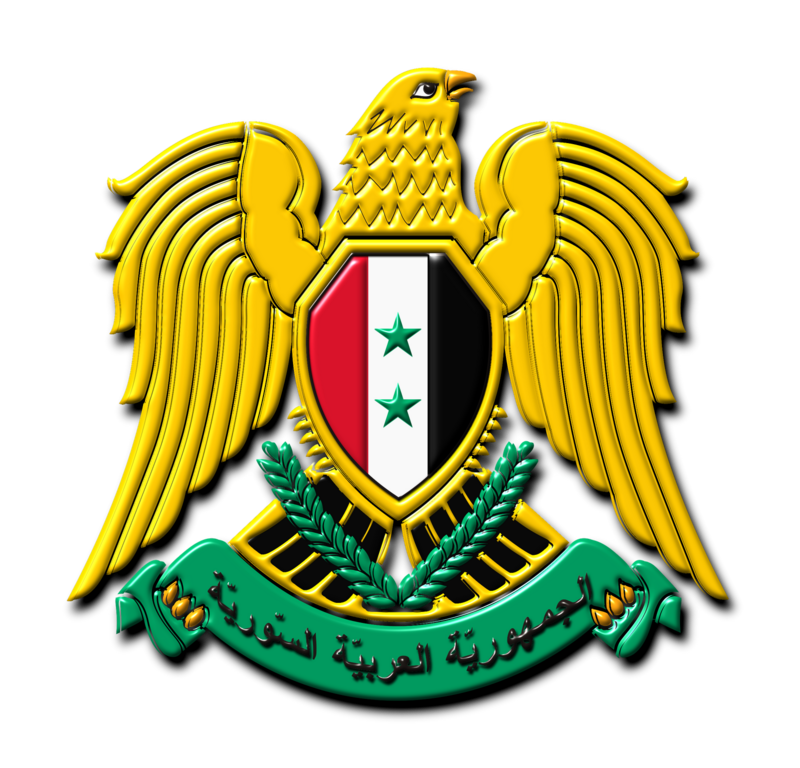 Nasser gave each of the provinces two vice-presidents; Boghdadi and Amer were assigned to Egypt and Sabri al-Assali and Akram al-Hawrani to Syria. 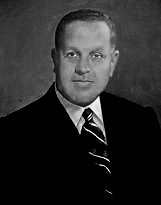 Nasser then left for Moscow to meet with Nikita Khrushchev. At the meeting, Khrushchev (see right) pressed Nasser to lift the ban on the Communist Party, but Nasser refused, stating it was an internal matter which was not a subject of discussion with outside powers. Khrushchev was reportedly taken aback, and denied he had meant to interfere in the UAR's affairs, and the issue was settled since both leaders did not want a rift between their two countries. In neighboring Lebanon, president Camille Chamoun (see left), an opponent of Nasser, viewed the creation of the UAR with worry. 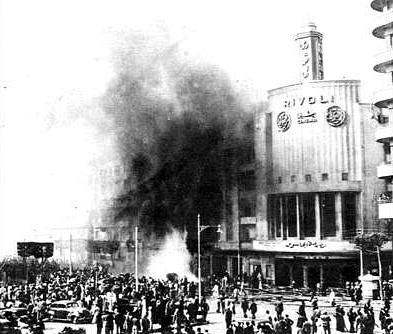 Pro-Nasser factions in the country began clashing with supporters of Chamoun, culminating in a civil strife by May 1958. The former favored merging with the UAR, while the latter feared the new country was a Communist satellite and threatened Lebanon's independence. Although Nasser claimed no intention to covet Lebanon, seeing it as a "special case," he backed his supporters in the country through sending money, light arms, and training officers in order to prevent Chamoun from gaining a second term as president. Almost simultaneously, on 14 July, Iraqi army officers Abdel Karim Qasim and Abdel Salam Aref (see left) staged a military coup against King Faisal of Iraq, (see right) who was immediately killed. Two days later Nasser's most serious Arab enemy in the Middle East, Nuri as-Said, the prime minister of Iraq, was also killed. 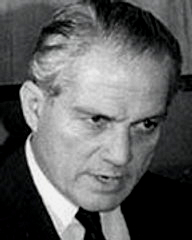 Nasser, who was in Belgrade, Yugoslavia while the coup was undertaken, extended recognition of the new government and stated that "any attack on Iraq was tantamount to an attack on the UAR." The next day US marines and British special forces landed in Lebanon and Jordan, respectively, to protect the two countries from falling to pro-Nasser forces as well. To Nasser, the revolution in Iraq left the road for Arab nationalism unblocked. 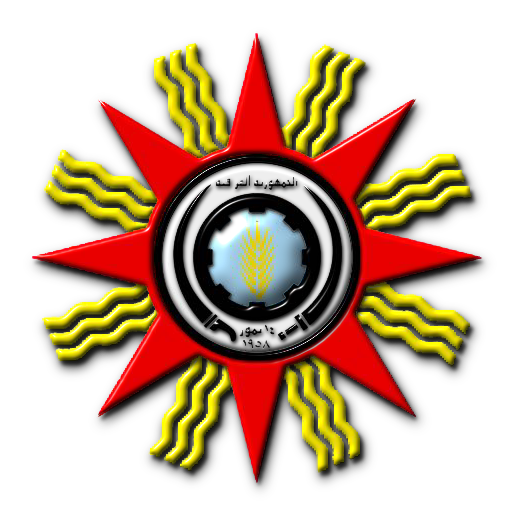 Although most members of the Iraqi Revolutionary Command Council (RCC) (see emblem left) were Nasserists and favored joining Iraq with the UAR, Qasim held animosity towards him. Reasons for this could have included Nasser's refusal to cooperate with the Iraqi Free Officers a year before the coup or Qasim's view that Nasser threatened his supremacy as leader of Iraq. Later in July, Fuad Chehab was to be elected Lebanon's new president and he met Nasser at the Lebanese-Syrian border. He explained to Chehab that he would not pursue unity with Lebanon, but he did not want the country to be used as a base against him. Resulting from this meeting was an agreement ending the crisis in Lebanon, with Nasser ceasing to supply his partisans and the US setting a deadline for withdrawing from the area. 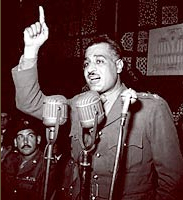 In Damascus, on 19 July, Nasser gave one of his most important speeches addressing the new regional realities. During this speach Nassers adopted a theme of successfully bridging the different sounds of Egyptian, Syrian, and Iraqi Arabic, and rose to a classical Arabic without losing or boring his audience. 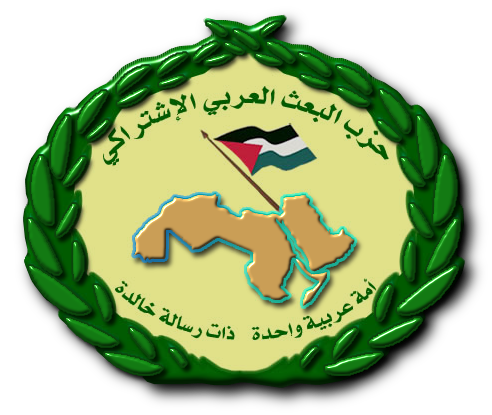 For the first time Nasser was opting for full Arab union. He had no plan, however, on how to incorporate Iraq into the UAR. In the fall of 1958, Nasser formed a tripartite committee, consisting of Mohieddine, al-Hawrani, and Salah al-Din Bitar to oversee developments in Syria. By moving the latter two, who were Ba'athists, to Cairo, he neutralized important political figures who had their own ideas about how Syria should be run within the UAR. He put Syria under Sarraj, who effectively reduced the province into a police state by imprisoning and exiling Communists—including party leader Khalid Bakdash—and landholders who objected to the introduction of Egyptian agricultural reform in Syria. 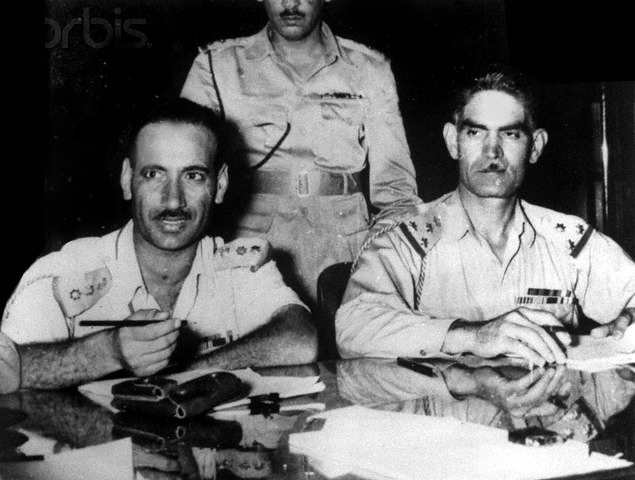 In December 1959, aware that things were not working in Syria, Nasser appointed Abdel Hakim Amer (see left) as governor-general alongside Sarraj. Syria's leaders reacted with opposition to the appointment and many resigned from their government posts. 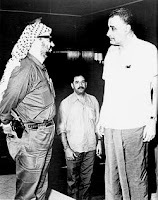 Nasser later met with the opposition leaders, which included al-Hawrani, Bitar, and Ba'ath founder Michel Aflaq (see right), and in a heated conversation, exclaimed that he was the "elected" president of the UAR and those who did not accept his authority could "walk away." Meanwhile, Nasser began smuggling agents from Syria into Iraq and senior Iraqi army officers began asking for support in launching a coup against Qasim. On 8 March 1959, an anti-Qasim rebellion broke out in the northern Iraqi city of Mosul led by Abdel Wahhab al-Shawaf, a member of the Iraqi RCC (see left) who was previously in touch with UAR authorities. Turmoil soon spread throughout Iraq, with the country's ethnic and religious groups attacking each other while pro-Qasim forces gained the upper hand against al-Shawaf. Nasser considered dispatching UAR troops into Iraq to aid his sympathizers, but soon decided against it. His advisers, namely Sarraj and Amer, insisted that the pro-Nasser forces were winning and Qasim was about to be toppled. Within four days, however, Qasim's forces captured Mosul and al-Shawaf was killed. Already strained relations between Nasser and Qasim grew increasingly bitter, with the former considering the latter as unworthy and dependent on the USSR while Qasim looked down on Nasser's Arab nationalism, believing only an alliance with the USSR would help the Arabs succeed against Israel. Nasser blamed the Arab nationalist defeat on the Communists and upon returning to Cairo, he dismissed and arrested many Communists who held influential positions in the press and government, including his old comrade Khaled Mohieddine, who had been allowed reentry into Egypt in 1956. In Syria, opposition to union with Egypt mounted; Syrian Army officers resented being subordinated to Egyptian officers, Bedouin tribes received funds from Saudi Arabia to prevent their loyalty to Nasser, Egyptian-style land reform was blamed for damaging Syrian agricultural production, Communists began to gain influence among lower-income workers, and the intellectuals within the Ba'ath party who had initially supported union rejected the single-party system. Nasser was not fully capable to address problems in Syria because they were "foreign to him" and, instead of appointing Syrians to administer Syria, he handed this task to Abdel Hakim Amer. In Egypt, the economic situation was more positive, with a GNP growth of 4.5 percent and a rapid growth of industry. In 1960, Nasser nationalized the Egyptian press, effectively reducing it to his personal mouthpiece. 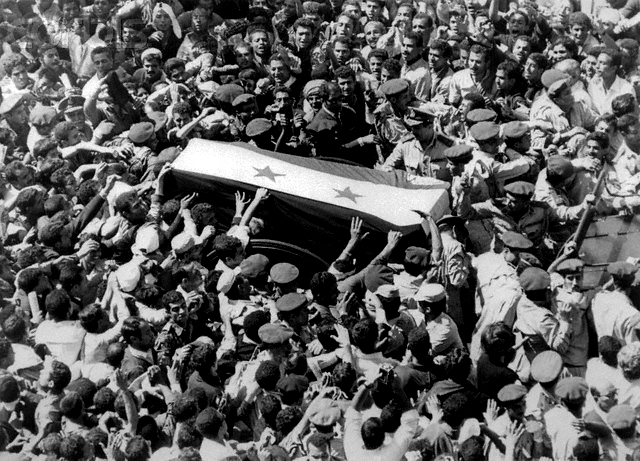 On 28 September 1961, Syrian Army units in Damascus rose against the UAR and declared Syria's independence. Amer and Sarraj were exiled, and army units in northern Syria loyal to the union failed to prevent the country's secession. Nasser sent Egyptian Special Forces to Latakia to oppose Syria's withdrawal, but ordered them withdrawn after two days, claiming he refused to allow inter-Arab fighting. In a speech to the Arab world, he admitted making mistakes with Syria, refused to condemn the secessionists, and accepted personal responsibility for the UAR's breakup. Privately, however, he accused Qasim, the Saudis, the Jordanians, and other Arab governments of contributing to the fall of the UAR. It has been suggested that Nasser suffered something resembling a nervous breakdown at this time, and his health began to deteriorate after the dissolution of the union. He also began smoking more heavily. Fearing similar action in Egypt, he sought to pursue an increasingly socialist agenda in the country. In October 1961, Nasser embarked on a major nationalization program, believing the total adoption of socialism was the answer to his problems and would have protected him from what happened in Syria. The Charter for National Action was undertaken, creating youth groups, socialist study institutes, laws regarding the acquisition of wealth, and agricultural cooperatives. 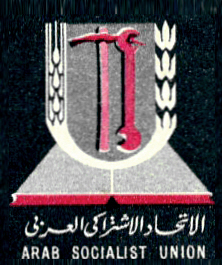 In the process, the National Union was renamed the Arab Socialist Union (see left). By 1962, as a result of these measures, government ownership of Egyptian business reached 51 percent. With the measures also came more domestic repression, with thousands of Islamists being imprisoned, including dozens of military officers. Nasser's tilt toward a Soviet-style system led his aides Abdel Latif Boghdadi and Hussein el-Shafei to submit their resignations in protest. 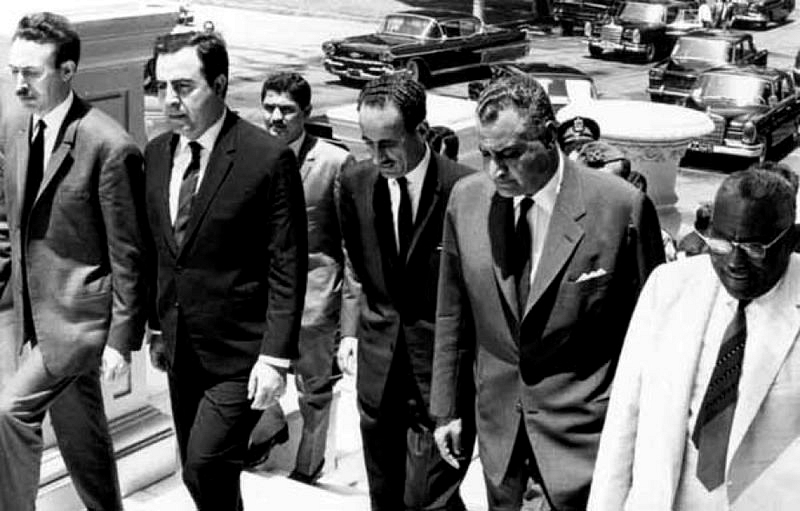 At an Arab League summit in August 1962, Nasser pulled out his delegation after arguments with Syria, which wanted the dismissal of the organization's secretary-general, Abdel Khalek Hassouna (see right), complaining that he only followed Nasser's orders. Nasser's fortunes on the Arab stage unexpectedly changed when Yemeni officers led by Abdullah as-Sallal, a supporter of Nasser, rebelled against Imam al-Badr of the Kingdom of North Yemen, on 27 September 1962. 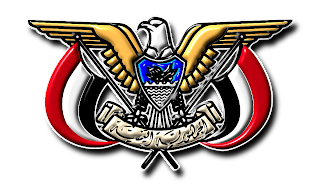 The officers proclaimed their country the Yemen Arab Republic (see left) and Nasser immediately recognized its legitimacy. Meanwhile, al-Badr and his partisans were receiving increasing support from Faisal of Saudi Arabia to reinstate the kingdom, convincing Nasser to dispatch Egyptian troops to strengthen the new government on 6 October. 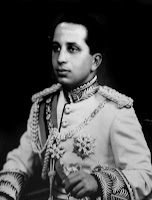 The pro-Nasser forces were unable to decisively defeat the royalists who by then controlled a third of the country and as the war continued many Yemenis came to resent the Egyptian presence, despite Nasser's attempts to foster economic growth and offer military support for Sallal's government. His influence on the ruling politicians also made Nasser many enemies. Most of his old colleagues questioned the wisdom of continuing the war, but Amer reassured him numerous times that victory was near. By 1963, Nasser had sent 15,000 Egyptian soldiers to Yemen, but the war remained a stalemate. 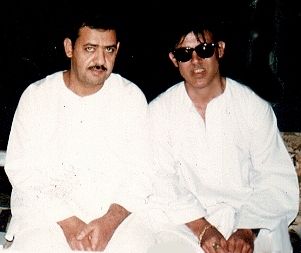 The Yemen War resulted in serious complications for the Saudi monarchy when a pro-Nasser clique in the family was formed, culminating in the declaration of the Free Princes by Talal ibn Abd al-Aziz (see left). After Nasser allowed the Free Princes movement to operate from Cairo, it gained a considerable following among minor Saudi princes and the co-founder of the Organization of the Petroleum Exporting Countries (OPEC), Abdullah al-Tariki (see right). In addition to those developments, Algeria became independent of France. Nasser considered this a victory for himself and the Arab nationalist movement. Then, on 8 February 1963, a military coup led by a Ba'athist-Nasserist alliance was staged in Iraq, overthrowing Qasim who was shot dead. 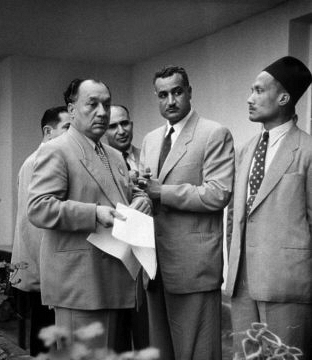 Although Ahmad Hassan al-Bakr orchestrated the coup, Nasser's sympathizer Abdel Salam Aref (see right) was chosen to be the new president. 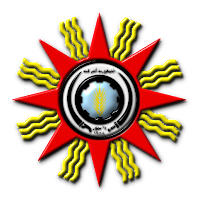 The Iraqi and Syrian regimes, both ruled by the Ba'ath party, soon sent Nasser delegations to push for a new Arab union on 14 March 1963. Nasser responded by berating the attendees for being "phony nationalists" and constantly changing direction. He presented them a detailed plan for unity, favoring a federal system which began with the merger of the countries' defense and foreign policies. A four-year term for president was stipulated, in addition to legislative councils being responsible for overseeing the functions of the state. The measures would be implemented slowly and in segments. By the end of his lecture, Nasser stated that he was the "leader of the Arabs and without me you are nothing. Either take what I have to offer you or leave and never return." Beginning in 1961, Nasser sought to firmly establish Egypt as the leader of the Arab world and to promote a second revolution in Egypt with the purpose of merging Islamic and socialist thinking to satisfy the will of the general populace. 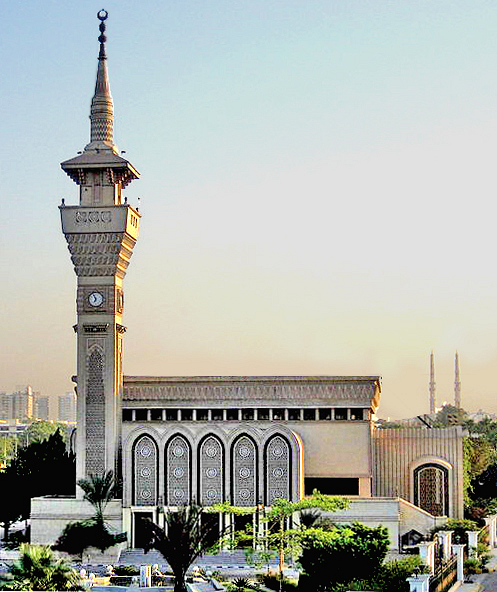 To achieve this, he began enacting several reforms to modernize the al-Azhar Mosque (see right), which serves as the de facto leading authority in Sunni Islam, and ensure its prominence over the Muslim Brotherhood and the more conservative Wahhabism promoted by Saudi Arabia. Nasser used his influence with al-Azhar to create changes in the syllabus, which trickled to the lower levels of Egyptian education. He allowed gender-mixed schools, introduced evolution as an acceptable subject matter to discuss, amended divorce laws, and merged religious courts with civil ones. He also forced al-Azhar to issue a fatwa readmitting Shia Muslims, Alawites, and Druze into mainstream Islam; for centuries before, al-Azhar deemed them as "heretics" and non-Muslims. 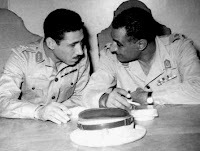 During this time, Nasser became highly concerned with Amer's inability to train and modernize the army, as well as the state within a state he created by transforming the army and the intelligence apparatus - the latter was led by Salah Nasr (see left) - into a separate fiefdom loyal to him personally. None of Nasser's old colleagues had informed him of the corruption and lawlessness undertaken by Amer and the army officers loyal to him since they thought the relationship between Nasser and Amer, his second-in-command, was solid. Therefore, any claims of power abuse would be dismissed. After realizing the extent of Amer's control in the country, however, Nasser appointed himself Chief of the Armed Forces, replacing Amer, in 1963. Although Amer was officially demoted, he remained in a strong position and many high-ranking officers continued to express loyalty to him. The stress caused by the collapse of the UAR, and Amer's increasing autonomy, forced Nasser, who had already had diabetes, to practically live on painkillers from then on. In order to organize and solidify his popular base with Egypt's citizens to counter the influence of the army, Nasser introduced a new constitution and the 'National Charter' in 1964. The latter called for universal health care, the provision of housing, building of vocational schools, widening of the Suez Canal, expanding women's rights, and developing a program for family planning. In addition, he attempted to maintain oversight of the country's civil service to prevent it from inflating and consequently becoming a burden to the state. In January 1964, Nasser called for an Arab League summit in Cairo, with the stated purpose of establishing a unified Arab response against Israel's plans to divert water from the Jordan River to irrigate the Negev Desert. Although he discouraged Syria and Palestinian paramilitary factions from provoking the Israelis, admitting that he had no plans for war with Israel, Nasser nonetheless called for the creation of the United Arab Command (UAC). Nasser blamed the lack of unity among the Arab states for what he deemed "the disastrous situation" regarding Israel's water diversion scheme. In a move to cede or share his responsibility and leadership position of the Palestine issue, Nasser decided to support the establishment of an entity to represent the Palestinians. 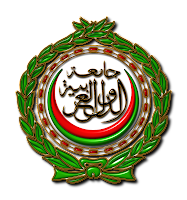 In May, the Palestine Liberation Organization (PLO), an umbrella group that included various Palestinian factions, was founded and its head was to be Ahmad Shukeiri, Nasser's personal nominee. Nasser aligned himself with the ANM of George Habash, and used the PLO to counter the support Fatah (not a PLO member) was receiving among Palestinians. Although Nasser made secret contacts with Israel in 1954–55, he concluded that peace with Israel would be impossible, considering it an "expansionist state that viewed the Arabs with disdain." Later in 1964, Nasser was made president of the Non-Aligned Movement (NAM) and held the second conference of the organization in Cairo that same year. 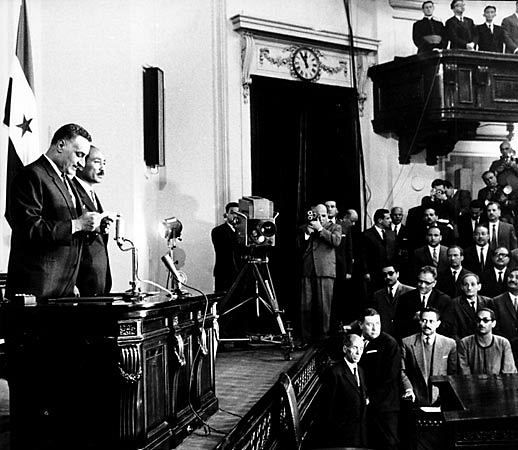 During the presidential elections in Egypt, Nasser was re-elected to another six-year term (see left), taking his oath on 25 March 1965. He was the only candidate for the position, with virtually all of his political opponents being forbidden by law from running for office, and his fellow party members being reduced to mere followers. That same year, he imprisoned Sayyed Qutb (see right), the Muslim Brotherhood's chief ideologue. Qutb wrote a book from his jail cell condemning Nasser as the representative of a "new age of ignorance." Unable to silence Qutb by incarceration, Nasser accused him of conspiring with the Saudis in attempt to assassinate him and had Qutb executed in 1966 as a result; the Muslim Brotherhood consequently sentenced Nasser to death. Sometime during 1966, he suffered, but survived, a massive heart attack. In early 1967, Soviet premier Alexei Kosygin sent Nasser a warning through Sadat, who was visiting Moscow, that Israel was about to carry out a large-scale assault against Syria. More warnings followed in the next few months, and King Hussein, aware of the intelligence situation, cautioned Nasser in April not to be dragged into a war. That same month, pressure on him to act by Syria, Saudi Arabia, and the PLO, as well as the general Arab populace, mounted after an aerial battle between Syria and Israel resulted in the downing of six Syrian planes. Convinced that Israel was determined to attack Syria, he asked UN Secretary-General U Thant to withdraw UNEF forces from Sinai. On 23 May, Egyptian troops moved into Sharm el-Sheikh and Nasser ordered the Straits of Tiran closed to Israeli shipping. After the blockade, he gave a speech to the United Nations General Assembly on 29 May saying, "the issue was not UNEF or closing the Strait of Tiran; the issue is the rights of the Palestinian people." This was the same message delivered a week earlier during a visit to an air base in the Sinai. The speeches signaled that Nasser believed war was inevitable. King Hussein arrived in Cairo on 30 May and committed Jordan to the United Arab Command—an alliance which also included Egypt and Syria—under the command of Egyptian general Muhammad Sidqi. 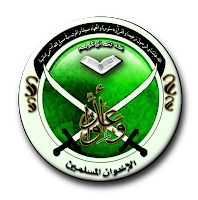 Amer anticipated an Israeli attack and advocated Egypt launch a preemptive strike. He was backed by former Syrian prime minister Amin al-Hafiz. 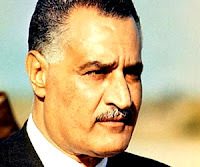 Due to assurances, however, from the American administration and the USSR that Israel would not attack, Nasser refused Amer's suggestion, insisting that Egyptian forces in the Sinai should only act defensively. In addition, he questioned the Egyptian military's readiness since the air force lacked pilots, the army reserve lacked training, and Nasser doubted the competence of Amer's hand-picked officers. Simultaneously, Egypt was facing a financial crisis leading him to believe that the country could not afford a war that would last even a few days. 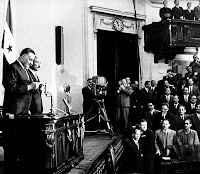 Nonetheless, Nasser eventually began changing positions from avoiding war to giving speeches claiming war was inevitable. 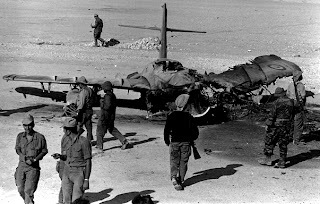 On the morning of 5 June, the Israeli Air Force (IAF) struck Egyptian air fields, destroying much of the Egyptian Air Force. Before the day ended, Israeli armor had cut through Egyptian defense lines, capturing the town of el-Arish. According to Sadat, it was only when they captured el-Qantarah el-Sharqiyya, cutting off the Egyptian garrison at Sharm el-Sheikh, that Nasser became aware of the gravity of the situation. After hearing of the attack, he rushed to the army headquarters to inquire about the military situation. It was here that the simmering conflict between Nasser and Amer came into the open when, according to present officers, they burst into "a non-stop shouting match." Nasser accused Amer of giving unsatisfactory answers to his questions, while Amer asked Nasser for more time to launch a counterattack against the Israelis. The Supreme Executive Committee, set up by Nasser to oversee the conduct of the war, attributed the repeated Egyptian defeats to the Nasser-Amer rivalry and to Amer's overall incompetence. Despite the extent of Israel's quick military gains, for the first four days the general population in the Arab states believed the fabrications of Arab radio stations which claimed an Arab victory was near. 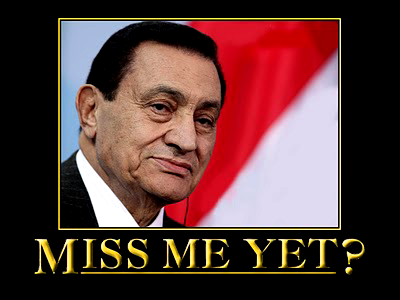 On 8 June, Nasser appeared on television to inform Egypt's citizens of their country's defeat. Israel had captured the entire Sinai Peninsula and the Gaza Strip from Egypt, the West Bank from Jordan, and the Golan Heights from Syria by 10 June. The same day, Nasser announced his resignation on television, ceding all presidential powers to his then-vice president Zakaria Mohieddin. 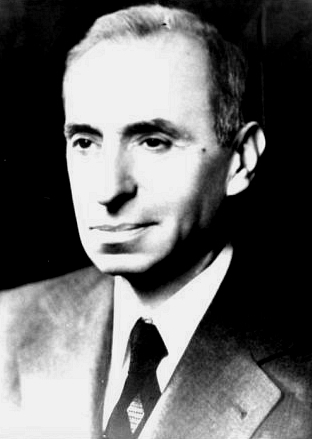 Mohieddin had not been informed of this decision prior and resigned from his cabinet post in protest, rarely seeing Nasser again. No sooner was the statement broadcast, however, were tens of thousands of Arabs pouring into the streets in mass demonstrations throughout Egypt and across the Arab world rejecting his resignation. Many cried in open sympathy with Nasser's position. Demonstrators adopted the Cairo slogan "We are your soldiers, Gamal!" Upon these reactions, Nasser retracted his decision the next day. His popular support also allowed him to arrest a large number of army officers, but not Amer who was given a hero's welcome in his home village. At the August 1967 Arab league summit in Khartoum, Sudan, Nasser's usual commanding position was reduced as the attending heads of state expected King Faisal to lead. The two leaders agreed to establish a ceasefire in the Yemen War. Also established was the offering of financial subsidies to Egypt, Jordan, and Syria by Libya, Saudi Arabia, and Kuwait. The conclusion of the summit resulted in what became known as the "three nos": no peace, no negotiation, and no recognition of Israel. Although they were still privately working against each other, Nasser and Faisal publicly rode through the streets of Khartoum in an open-top car with their hands clasped in a show of unity to please the crowds. The USSR soon resupplied the Egyptians with about half of their former arsenals and broke diplomatic relations with Israel. Following the war, Nasser had cut relations with the US and according to Aburish, Nasser's policy of "playing the superpowers against each other came to an end." 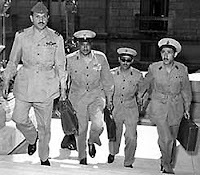 Upon returning to Cairo, Nasser soon had Amer, Sidqi, and nine other generals arbitrarily arrested due to both popular and governmental accusations that they were attempting to organize a military coup against him. 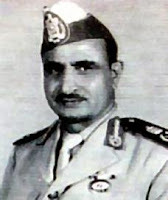 In August that year, Amer, along with over 50 Egyptian military officers and two former ministers, was arrested for allegedly plotting acoup to overthrow Nasser. Amer was arrested as he was leaving Nasser's home where he was invited for a "meeting." He was subsequently kept under house arrest at his villa in Giza. According to the official Egyptian position, Amer was rushed to hospital in an attempt to save his life after he attempted suicide by swallowing "a large amount of poison pills" upon the arrival of Egyptian officers to question him. After surviving and being taken home the next day, he managed to evade his guards and swallow more pills he kept hidden under an adhesive plaster on his leg. Later, Cairo radio announced his burial in his home village of Astal. One version of the story holds that Amer was approached in his jail cell on September 14 by high-ranking Egyptian officers and was given a choice to remain there and stand trial for treason, which would inevitably have ended with his conviction and execution, or die an honorable death by taking poison. Like Rommel, Amer chose the latter option and received a full military burial. 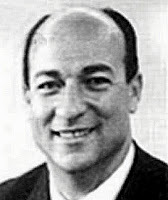 Anwar Al Sadat, who later became President of Egypt, expressed his opinion that if he was in Amer's position, he would have done the same soon after the Six-Day War. Despite having taken the leading part in arranging Amer's suicide, Nasser spoke of losing "the person closest to him," and did not fully recover from the psychological blow. In this brief period, Nasser moved toward creating a full dictatorship in Egypt by appointing himself the additional roles of prime minister and commander-in-chief of the armed forces. In November 1967, Nasser accepted UN Resolution 242 which ambiguously called for Israel's withdrawal from territories acquired in war. His supporters claimed the move was meant to gain time to prepare for another confrontation with Israel. Contrarily, his detractors in Egypt and the Arab world believed Nasser's acceptance of the resolution was a sign that he wanted to negotiate the Palestinian issue, removing it from the top of his agenda. While his traditional Arab enemies (Saudi Arabia and Jordan) still conspired to reduce his prominence or remove him altogether, Nasser maintained good relations with them following the Khartoum summit, partly because of financial dependence on Arab states of the Persian Gulf. On the other hand, his traditional allies (Syria, Iraq, Algeria, and the PLO) opposed his recent moves and formed a "rejectionist front." In January 1968, Nasser commenced the War of Attrition against Israel, ordering his forces to begin harassing Israeli positions east of the now-blockaded Suez Canal. In the same month, he allowed the Soviets to construct naval facilities in Port Said, Marsa Matruh, and Alexandria. Then in March, Fatah under the leadership of Yasser Arafat, faced off with Israel in Jordan in what became known as the Battle of Karameh. The Jordanian Army eventually backed Fatah fighters forcing Israel to withdraw its troops without achieving its strategic goal—destruction of the Palestinian fedayeen base. The battle was thus seen as an Arab victory over Israel and Nasser immediately dispatched Mohammed Hassanein Heikal to invite Arafat to Cairo. There, Nasser offered the Fatah movement arms and financial support, but advised Arafat to think of peace with Israel and establishing a Palestinian state comprising the West Bank and the Gaza Strip; Nasser was effectively ceding his leadership of the "Palestine issue" to Arafat. As the war against Israeli forces in the Sinai was underway, Israel retaliated by heavily bombing key Egyptian military and civilian infrastructure and causing a large exodus of Egyptians from the western bank of the Suez Canal, leading to a large influx of Egyptian refugees. As a result, Nasser ordered all military activities to cease, while embarking on a program to build a network of internal defenses. The war resumed in March 1969 and Nasser received the financial backing of the Gulf Arab states while the PLO spearheaded infiltrations into Israel from Lebanon and Jordan. In September 1969, Nasser suffered a heart attack; doctors warned him that if he did not stop his workaholic ways and refrain from smoking he would end up killing himself. In November, he brokered an agreement between the PLO and the Lebanese military granting the Palestinians the right to use Lebanese territory to attack Israel. A month later, in December 1969, Nasser appointed Sadat and Hussein el-Shafei, a former RCC comrade, as his vice presidents. By then, relations with his other RCC comrades, namely Khaled and Zakaria Mohieddin and former vice president Ali Sabri had become strained. In June 1970, Nasser with support from King Hussein accepted the US-sponsored Rogers Plan which called for an end to hostilities and an Israeli withdrawal from Egyptian territory, but it was immediately rejected by Israel and the PLO, as well as most of the Arab states. Sadat advised against it. Nasser's confidants—Heikal and Abdel Magid Farid, among others—insisted Nasser's acceptance of the US peace plan was a strategic one aimed at exposing Israel's reluctance to negotiate with the Arabs. Nasser was also openly considering replacing Sadat with Boghdadi; he had since reconciled with the latter. Meanwhile, in July 1970, King Hussein informed Nasser of his dissatisfaction with the PLO's behavior in Jordan. On 6 September, the Popular Front for the Liberation of Palestine hijacked and blew up four emptied international airplanes on Jordanian soil, despite protests from Nasser who issued condemnations against the hijackers. 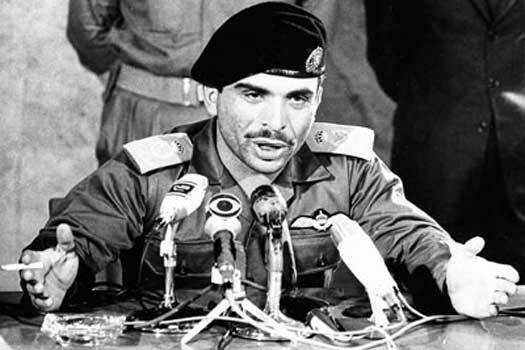 Ten days later, King Hussein sent in his army to rout out Palestinian guerrilla forces from the country in what became known as "Black September". Escalations in violence brought the Middle East close to a wider war, prompting Nasser to hold an emergency Arab League summit on 27 September. The attending heads of states launched verbal denunciations against each other, while Nasser pleaded with Arafat and Hussein to cease hostilities. At the end of the conference, he forged an agreement ending the conflict. On 28 September 1970, at the conclusion of the summit and hours after escorting Emir Sabah III of Kuwait, the last Arab leader to depart, Nasser suffered a heart attack. He was immediately transported to his house and was pronounced dead soon after. His wife Tahia, Heikal and Sadat were present, the last reading the Qur'an at his deathbed. Following the announcement of Nasser's death, Egypt and the Arab world were in a state of shock. However, it should be noted that Nasser smoked three packs of cigarettes a day. In addition it was not publicly known at the time that Nasser had previously suffered two heart attacks. According to his doctor al-Sawi Habibi, Nasser's likely cause of death was arteriosclerosis, varicose lungs, and diabetic complications. There was also a history of heart disease in his family; two of his brothers died in their 50s from the same condition. The 10-kilometre (6.2 mi) procession to his burial site began at the RCC headquarters with MiG-21 jet fighters flying overhead. His flag-draped coffin was attached to a gun carriage pulled by six horses and led by a column of cavalrymen. All Arab heads of state attended. King Hussein of Jordan and PLO leader Yasser Arafat cried openly while Muammar al-Gaddafi of Libya reportedly fainted twice. Although no major Western dignitaries were present, Soviet premier Alexei Kosygin showed up. Almost immediately after the procession began, mourners had engulfed Nasser's coffin shouting "There is no God but Allah, and Nasser is God's beloved... Each of us is Nasser." Police unsuccessfully attempted to quell the crowds and as a result, most of the foreign dignitaries surrounding his coffin—including Kosygin, Hussein, French premier Jacques Chaban-Delmas, and Haile Selassie of Ethiopia—were evacuated. The final destination was the Nasr Mosque (see left), renamed Abdel Nasser Mosque, where Nasser was buried. Because of his ability to motivate nationalistic passions, "men, women and children wept and wailed in the streets" after hearing of his death. The general Arab reaction was one of mourning, with thousands of people pouring onto the streets of major cities throughout the Arab world. 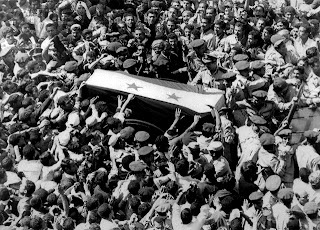 Over a dozen people were killed in Beirut as a result of the chaos and in Jerusalem, roughly 75,000 Arabs marched through the Old City chanting "Nasser will never die." As a testament to his unchallenged leadership of the Arab people, following his death, a Beirut-based newspaper stated, "One hundred million human beings—the Arabs—are orphans." "Nasser's greatest achievement was his funeral. The world will never again see five million people crying together." One of his most noted speeches was in Cairo on July 9, 1960 where he outlined the concept of "the Three Revolutions", in which Zionism was the main enemy. In order to be successful, a permanent climate of revolution had to be maintained until the accomplished goal. The first revolution was the overthrow of colonialism, the second the defeat of division and false frontiers created by outsiders in society, and the third to create honorable living for every person. Through his speeches and his actions, and because he was able to symbolize the popular Arab will, Nasser inspired several nationalist revolutions in the Arab world. Muammar al-Gaddafi who overthrew the monarchy of Idris I in Libya in 1969, considered Nasser his hero and after his death, sought to succeed him as the "leader of the Arabs." Ahmed Ben Bella who led Algeria to gain independence from France in 1962 was a staunch Nasserist and held him in great esteem. Abdullah as-Sallal drove out the king of North Yemen in the name of Nasser's pan-Arabism. Other Arab nationalist-led coups influenced by Nasser included those that occurred in Iraq in July 1958 and Syria in 1963. They were led by Abdel Salam Aref and Luai al-Atassi, respectively. Saddam Hussein was profoundly influenced by Nasser, and lived in Cairo during Nasser's rule. All were strong supporters of the Egyptian president and advocated pan-Arab unity. George Habash, founder and secretary-general of the Arab Nationalist Movement, embraced Nasser's ideas and helped spread them throughout the Arab world, particularly among the Palestinians. During the 2011 protests in the Arab world (which resulted in a revolution in Egypt), photographs of Nasser were raised throughout Cairo and Arab capitals by protesters and their supporters, and Nasser has become, once again, a "symbol of Arab dignity" during the mass demonstrations - and probably "symbol of Arab dignity" for all time.